#201 - 3811 Hastings St. Custom-made corner unit! Totally unique floor plan, no cookie cutter design on this one; the only one of its kind in the building. Redesigned floor plan during the construction phase at an extra cost to the seller. Beautiful, large kitchen with Kitchen Aid appliances & granite countertops, centered right where all the entertaining happens, not off to the side like the original plan. Formal dining room space with access to the balcony. Spacious living room with fireplace compliments the open floor plan. This NW facing unit is set at the back of the building so as to maintain peace & privacy. Come & experience the vibe from trendy Hastings Street shops. 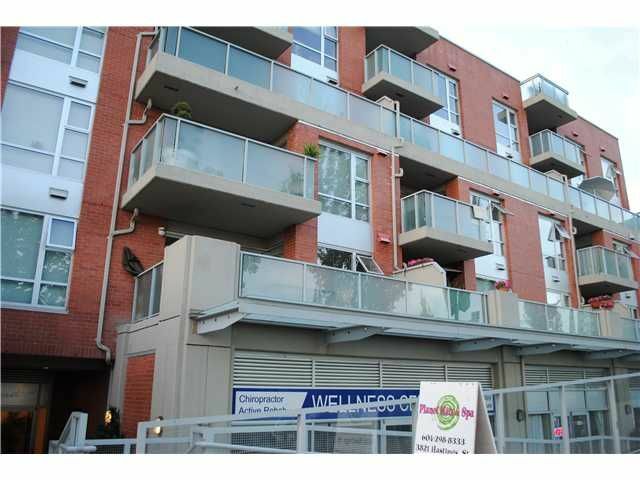 Easy access to the highway, transportation & downtown Vancouver.